These are vintage drops that were made in Japan. Each drop features 4 turquoise blue glass beads and a brass loop. 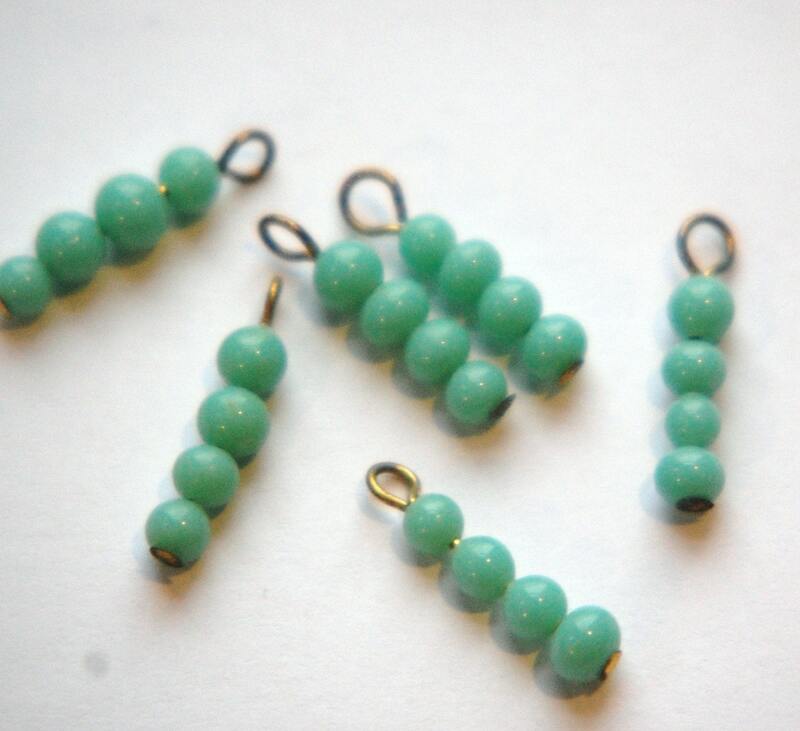 The beads are not uniform in size but measure approx. 4mm each. The entire piece with loop is 18mm long. You will receive 6 pieces. 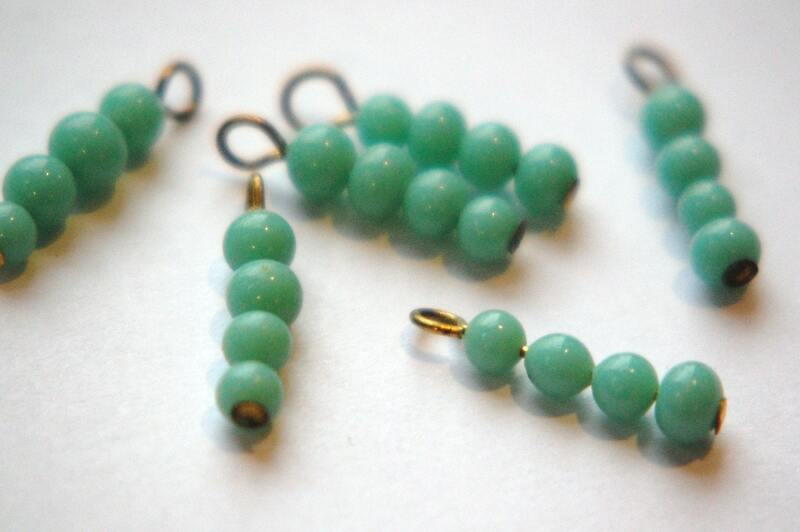 These vintage turquoise glass beads are chic,dainty and elegant.